Giant cuddly Octopuses are not actual octopuses. They're toys. 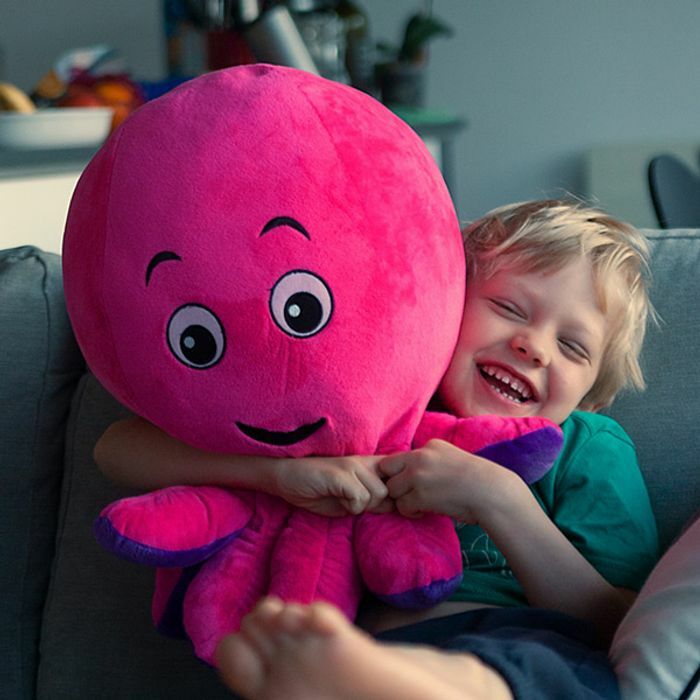 If you'd prefer, you can elect to have a tree planted instead of a giant cuddly Octopus. We trees too. We won't charge you for postage (or it wouldn't be free) and we accept no responsibility for lost or damaged mail. Our octopuses are hand-reared in Guandong, China. For carbon emissions purposes (and also the fact that octopuses prefer the sea), they're travelling by ship and so, they won't arrive in time for Christmas. We'll start shipping in the New Year. We can't guarantee octopuses will fit in all mailboxes. They're pretty big octopuses, after all. Octopuses are supplied by Custom Toys UK, a member of the British Toy and Hobby association (BTHA). They are made in Guandong, China, in accordance with the ICTI Ethical Toy Programme Certification and subject to regular factory audits (WCA and/or BSCI) from a reputable source with a presence in the European Union such as Intertek. One octopus per home (wasn't that an Ed Miliband policy?). Ordered mine, thanks for posting! Octopus looks so cute rather on the large side.not a customer but a great find. you have to registered with them and have account right? I tried to order they sent thank you for order but they haven't asked for my address even? Unfortunately I'm not their customer but my son would love to get one of them Great find well done to everyone who managed to get one.